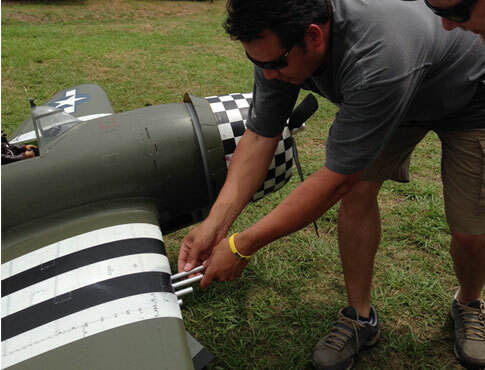 One of our good friends Pedro Sanchez showed up at Top Gun this year with a beautifully detailed Warbird in the form of a CARF-Models P-47 Thunderbolt. 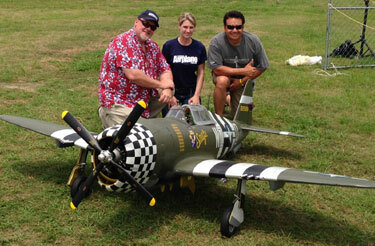 Powered by a Moki 5-cylinder 250cc radial engine, the 1/4-scale “Jug” has a 110 inch span and weighs in at 54 pounds! Pedro only started with a CARF-Models airframe, as he added thousands of additional details including screw heads, functional cowl flaps to keep the engine cool on the ground and modified hinging in the tail surfaces. Check out his story with MAN editor Debra Cleghorn on the Top Gun flightline.